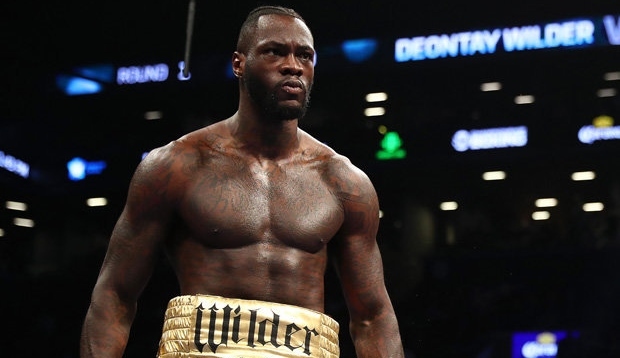 Wladimir Klitschko’s former promoter would like to see the former world champion take on WBC title holder Deontay Wilder if he decides to come out of retirement. The 43-year-old Ukrainian hasn’t fought since losing to Anthony Joshua at Wembley in April 2017 and announced his retirement later that year. However, with Klitschko having admitted he continues to train and the heavyweight division attracting huge interest, there have been rumours he could make a return to the ring, with one company reported to be offering him a £60m three-fight deal. “Wladimir had such a good championship run that a lot of people want to see him back in the ring,” the Ukrainian’s former promoter Tom Loeffler told Sirius XM. “I don’t know whether he’s content with what he’s accomplished. “It will be his decision. He’s been posting videos and photos showing the bug is still somewhere in the back of his head. Wilder will take on fellow American Dominic Breazeale in Brooklyn on May 18, but with future fights against Joshua and Tyson Fury looking far from certain, a meeting with Klitschko could be an attractive option. Joshua will put his IBF, WBA and WBO titles on the line when he faces Jarell ‘Big Baby’ Miller in New York City on June 1, with his promoter Eddie Hearn having insisted he will continue his attempts to make a unification fight with Wilder. Klitschko won Olympic super-heavyweight gold in Atlanta in 1996 before embarking on a professional career which saw 64 wins and five defeats, including an 11-year unbeaten streak that ended in 2015 against Fury, who fights German Tom Schwarz in June.